We are now on the lookout for experienced young actors for our upcoming Shakespeare season! Click here for more info! After the success of their debut production of Shakespeare’s Twelfth Night as part of the 2018 Sydney Fringe Festival, Fingerless Theatre is at it again. 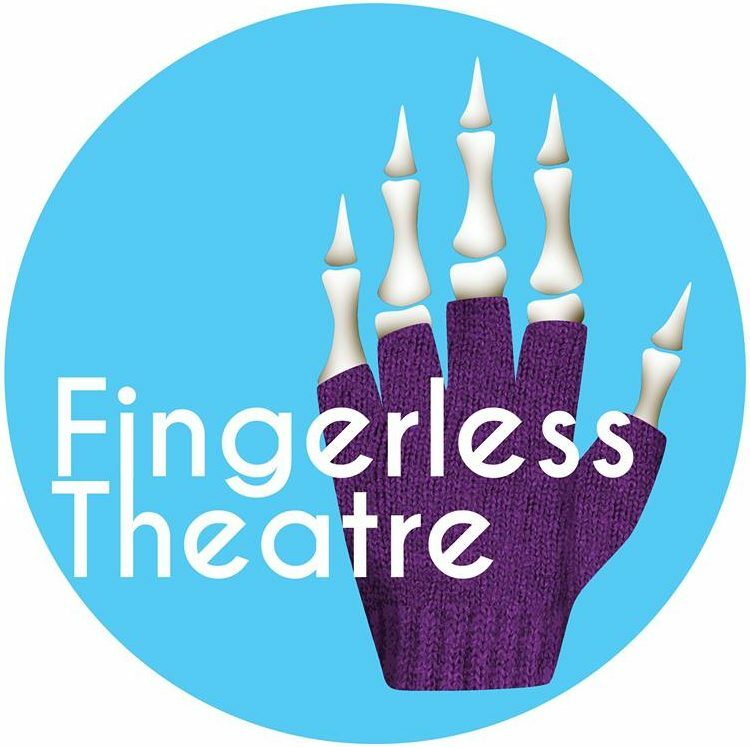 Fingerless is a Sydney-based independent theatre company, fuelled by Artistic Director Alex Kendall Robson’s insatiable passion for classic theatre, in particular the plays of William Shakespeare. In 2019, Fingerless is mounting back-to-back productions of Shakespeare’s A Midsummer Night’s Dream and The Tempest at the Giant Dwarf in Redfern. The season is marketed predominantly towards school audiences, with morning and afternoon shows, and at least one evening for each play. Midsummer has a confirmed week of performances 26th Feb-1st March, and Tempest 20th-24th May, with a soft hold on the weeks before and after each, depending on demand. Dates and times will be confirmed closer to the event. Supported by School Performance Tours, over 600 tickets have already been sold. There is also the potential for a short regional tour, but this is to be confirmed. These will be profit share productions. Auditions will be held in October, with rehearsals to begin in November. It is anticipated that actors will perform in both productions, playing multiple roles. The plays will feature a small ensemble cast, live music, and original compositions by Antonio Fernandez. Have a genuine passion for Shakespeare. Like, for reals, the Director is obsessed, and you will need to try and keep up with him. Have experience directing/acting Shakespeare plays. Have reasonable availability for the length of the season. Be highly personable, a good communicator, and reliable. This position would suit a recent uni or drama school graduate. If this sounds like you, send an expression of interest, with your CV attached, to Alex at fingerlesstheatre@gmail.com. Individuals shortlisted for the role will be asked to attend an informal interview with the Director, and possibly other members of the production team. Due to time constraints, not all applicants can be offered an interview. As part of the 2018 Sydney Fringe Festival, Fingerless Theatre is producing Twelfth Night by William Shakespeare. If music be the food of love, play on: this nuanced comedy explores the things we do for love, for better or worse, for richer or poorer. This production, whilst slightly abridged to fit the Fringe format a bit better, will give space to the queer themes in Shakespeare’s text. As such, people who identify as LGBTI+ are especially encouraged to apply. To survive in a strange place, Viola must dress as a boy (Caesario), and get a job with Duke Orsino. Orsino is heartbroken over his unreciprocated love for the Countess Olivia, to whom he sends Viola/Caesario to seduce on his behalf. Olivia falls in love with her/him, and Viola falls in love with Orsino, who has fallen in love with Viola’s masc persona Caesario. Meanwhile the drunks Sir Toby and Sir Andrew, conspiring with the sassy Maria, have hatched a plot to humiliate the tiresome Malvolio by thinking his boss, Olivia, is in love with him, leading him to humiliate himself. Oh, and Viola’s twin brother Sebastian – who everyone thought was dead – is actually alive and wandering about the place with a pirate, Antonio, who is in love with him. And all the while there is this sad clown, Feste, singing weird songs and talking smack to everyone. “O time, thou must untangle this, not I. This production is directed by Alex Kendall Robson, and as this is a play with music – but not a musical – there is music direction by Antonio Fernandez. There are five performances, from the Tues 11th to Sat 15th of September. This is a profit-share production in compliance with MEAA’s Independent Theatre Guidelines. Performers from diverse cultural backgrounds, and who identify as LGBTI+, are strongly encouraged to apply. Actors will be required to perform a Shakespeare monologue – not necessarily from this play – that can show their versatility. Actors auditioning for Feste also may be asked to sing. Auditions will take place on Sat 30th of June, and Sun 1st of July. 4) audition times where you are NOT available. As audition slots are limited, we cannot offer everyone an audition. Viola – a plucky young gentlewoman. The actor needs to be able to somewhat convincingly pass themselves off as a guy, as they spend the majority of the play disguised as a dude. This is the lead role, so requires a lot of dedication. Orsino – a love-sick duke. The actor needs to have a deft touch, as the role can easily become monotonous. Olivia – a grieving countess. The actor needs to be versatile, having both a noble bearing, whilst also being able to make a fool of themselves when love struck. Malvolio – a pretentious steward. The actor needs to have great comedic timing, and an ability to get the audience to love to hate them. Sir Toby Belch – a drunken uncle. The actor needs to be an experienced comic actor with enormous presence. Sir Toby is incidentally the second biggest role, so a lot of dedication is required. Sir Andrew Aguecheek – a drunken knight. The actor needs a natural sense of comedy, as they are Sir Toby’s rather pathetic sidekick. Maria – a sassy servant. The actor needs a very strong presence, as they have to hold their own against other big characters on stage. Feste – a sad clown. The actor needs to be able to sing, in addition to being sad and funny at the same time. They form a sort of chorus to the play: an insider also on the outside. Actors who can play musical instruments will be highly regarded. Sebastian – a lost young gentleman. The actor needs versatility, as this role is paired with the small comic role of Fabian. The casting of this role is largely dependent on being passably the twin of Viola. Curio – a loveless courtier. The actor needs to be very expressive, as the role is small on the page, but is a constant sad presence on the peripheries. Antonio – a hapless pirate. The actor needs to be quite versatile, able to be a gruff pirate, a pirate in love (less gruff? ), as well as doubling as the wholesome Sea Captain. Send through your expressions of interest to audition, and general enquiries to Alex at fingerlesstheatre@gmail.com.